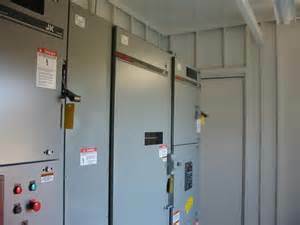 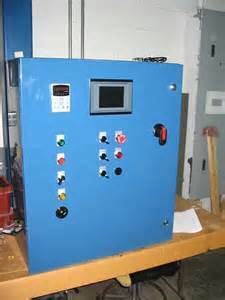 150HP Variable Speed Drive Package provided in a Nema 4 package with side mounted AC unit for demanding environments. 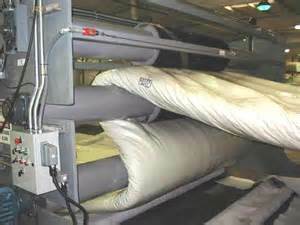 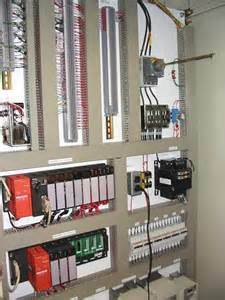 This is a coordinated drive and control system for a Textile facility. 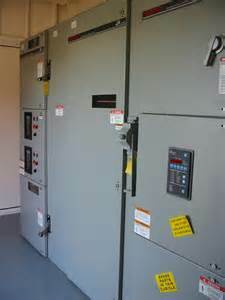 All drives are controlled by the Mitsubishi PLC. 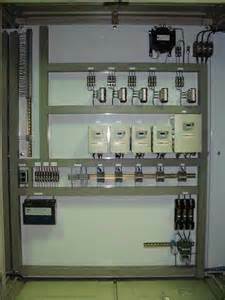 Each section has tension control feed back that is taken through the PLC. 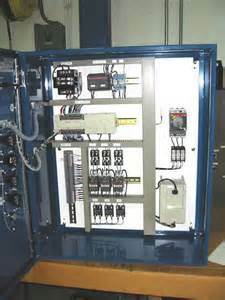 ESSCO designed extruder control drive package. 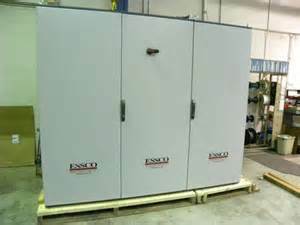 An ESSCO application solution. 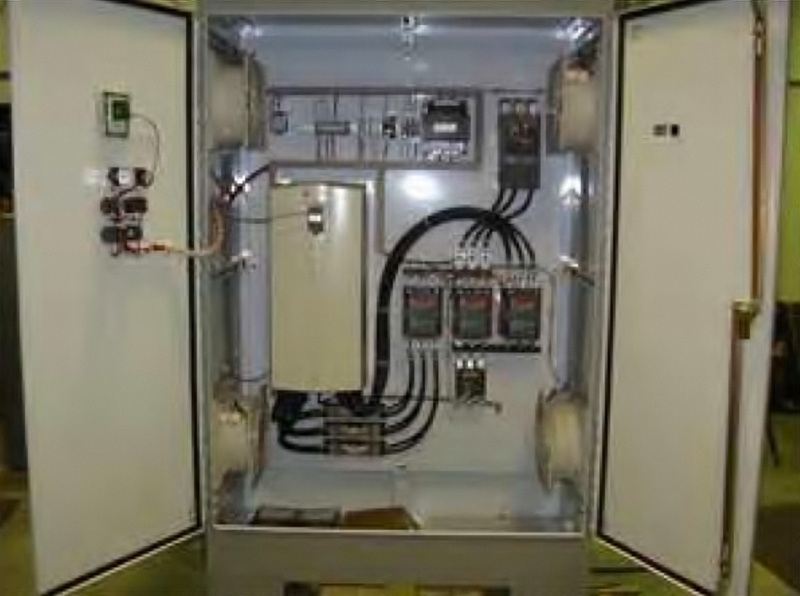 Customer needed an automated control system that would safely transfer their unique product from the factory floor to the bed of a flat bed truck. 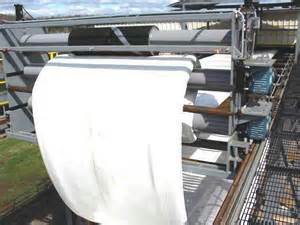 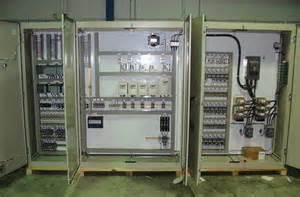 This package was designed to process the waste water from a plating line. 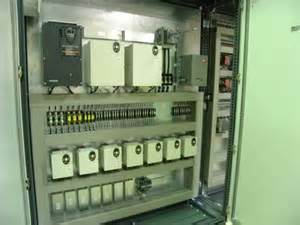 Many controlled devices had to be controlled and coordinated by the PLC. 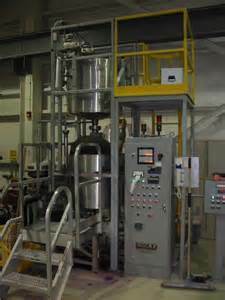 This customer required an extremely precise water measurement system for their mixing process. 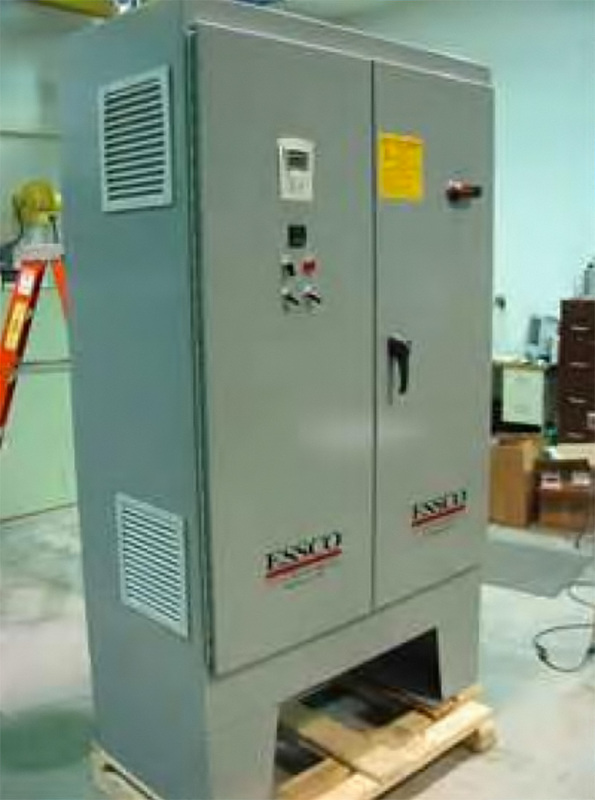 ESSCO’s turn-key solution provided a precision weigh tank pictured on the top utilizing three load cells. 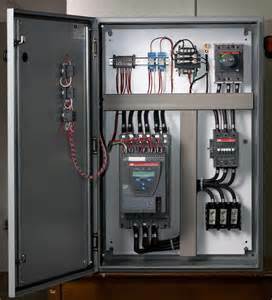 Utilizing Toshiba’s unique JK starters ESSCO assisted our customer in sizing and selecting the Medium voltage line up for an outdoor application. 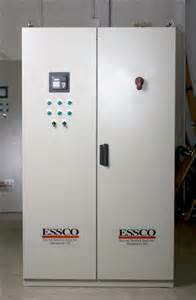 ESSCO offers custom drive packaging for many types of applications. 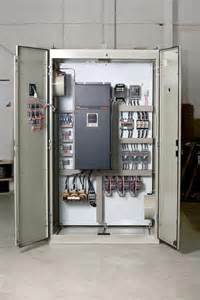 This shows a 200HP variable speed drive with a manual (3) contactor bypass in a Nema 12 force fan and filtered enclosure. 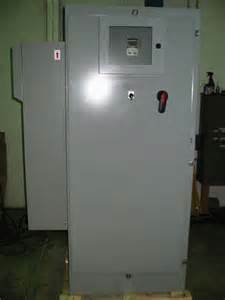 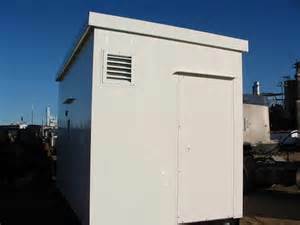 This system required a large HP drive and multiple smaller across the line starters. 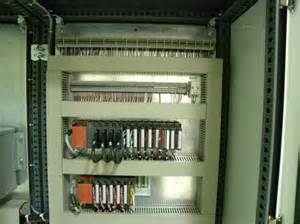 This is an example of a large HP capacity digital solid state starter utilizing an up to speed bypass. 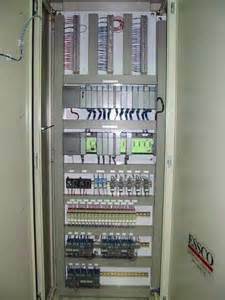 This large drive and heater control line up shows a single point power entrance. 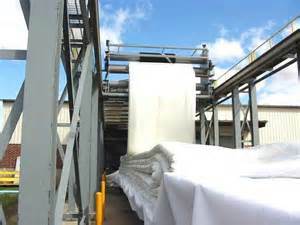 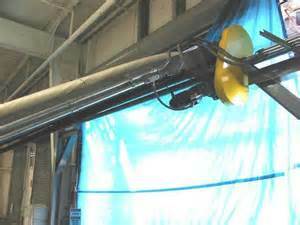 Shipping splits provided to allow shipping and ease of installation on factory floor.